About a third of all women agree that this is one of the biggest fashion faux paus a man can make in the summer months; what is it? About a third of all women agree that one of the biggest fashion faux paus a man cane make in the summer months is wearing a Hawaiian shirt! 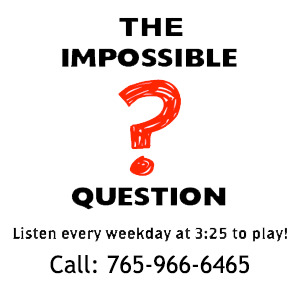 Congratulations to Jamie Ramsey for being the first to answer the Impossible Question!